This wooden picture frame is great for camper pictures! 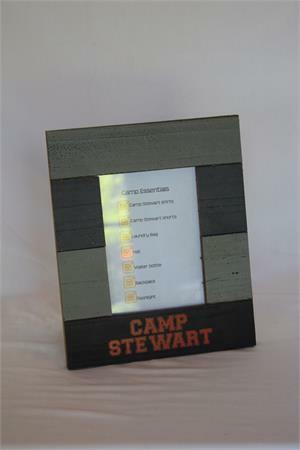 Made of wood that has a "barn wood" feel, the 5x7 frame is a great way to keep memories alive! Grey and navy blue with orange Camp Stewart imprinted at bottom.